Pool cue cases are the most surefire way to store, transport and protect your cues. Billiards cues are the crux of accurate game play. Whether you’re a traveling billiards player or you want to keep your cues under wraps at your home game room, consider faithful use of a pool cue case. 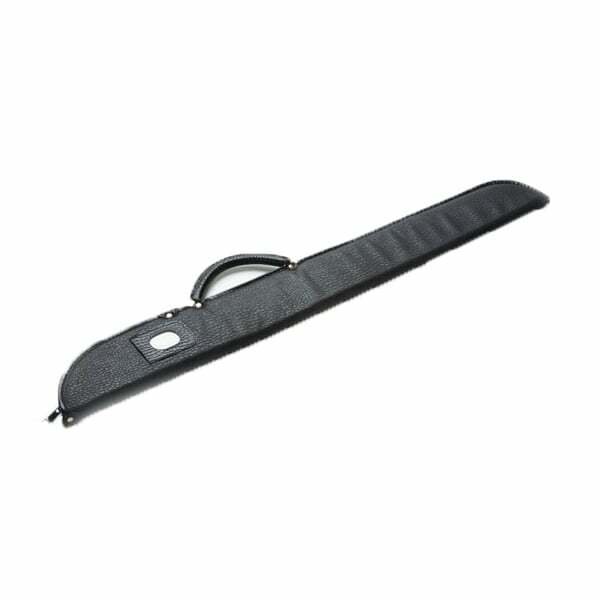 The Soft Pool Cue Case by American Heritage is black in color, and features a soft exterior. Inside, the case features two separate shafts that are padded and lined for protection of the precious cargo. The case opens and closes with a reliable top zipper. Enjoy your favorite pool cue for a lifetime!